When you think of popular progressive music, the organ probably isn’t the first thing that comes to mind, but it should. The organ is an often forgotten gem and with high-quality traditional organs, and the Viscounts hybrid and digital organs being made and played today, it’s time to join the organ in the spotlight. Though at times only thought to be reserved for funerals and dusty churches, the organ is a flexible instrument with powerhouse sound. Many instruments such as the accordion, harmonium (essentially a mini pump organ), and others are making their way back into the limelight and hearts of music listeners of all ages through popular alternative folk bands. Playing the organ today is more rewarding than ever. Organs such as Viscounts digital organs sense environmental changes and adjust, and hybrid organs combine the best of both traditional and digital organs: Advances in technology make playing the organ easier than ever before. 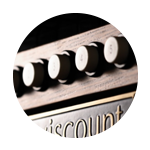 As one plays a Viscount digital organ, a patented algorithm is making thousands of calculations to create the richest and quality sound for each note. Organ music has made its way into experimental music such as the new Explosions in the Sky album featuring the organ and it’s full and rich sound tone, sounding almost subterranean. And many churches are seeing a focus on traditional sounding worship music and adding a modern twist. And if you are an accomplished musician, why not add the organ to your repertoire. The organ is an instrument played with not only the hands but also with the feet! The organ might not be in this week’s chart-topping hits, but why not next week’s? Modern organs and particularly digital organs available make creating music on the organ a fulfilling and rewarding experience.